Fatumnasi is part of Timor Tengah Selatan (South Central Timor) regency. With wooden fences along the road, shady trees and cold climate, it was hard to believe that I was only about 150-ish km from hot Kupang. Fatumnasi offers cultural, as well as natural attractions. 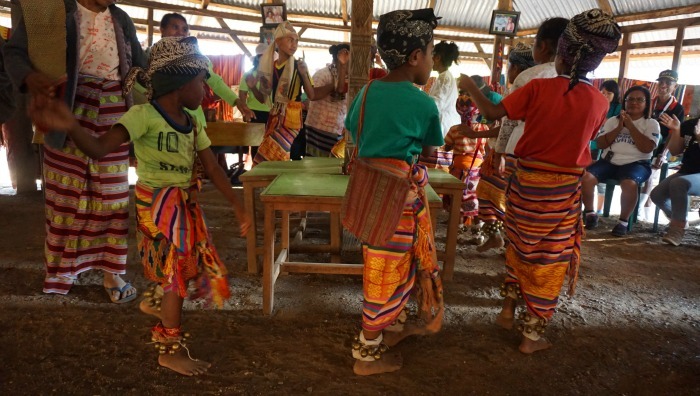 When we arrived in Fatumnasi, residents there showed us some traditional dances and accept us according to their local traditions. After saying a prayer they draped woven fabric over us as a sign of the acceptance of our visit. Kolbano beach was the highlight of this trip. Unlike most beaches that are generally sandy, Kolbano is covered in beautiful rocks. The sea here was also beautiful, with grades of blue turning to turquoise. 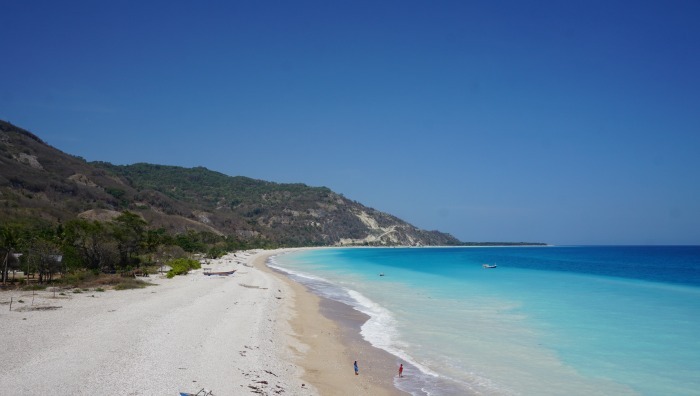 Kolbano is approximately 3 hours from Kupang, but unfortunately there are no lodgings here. People usually do a day trip from Kupang to the beach. Oehala waterfalls, was also impressive. Who doesn’t love a waterfall anyway? 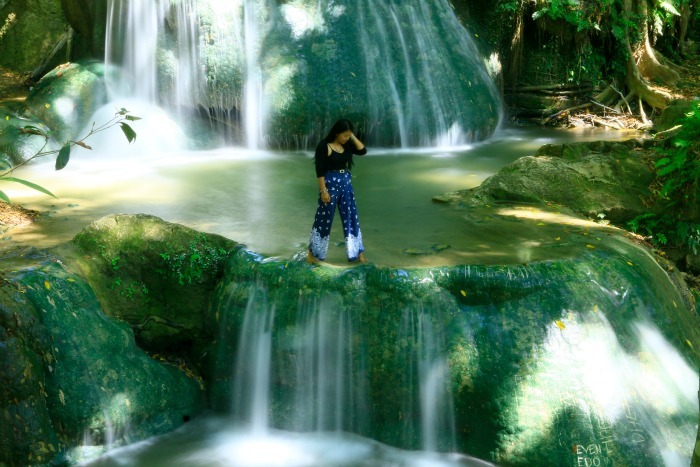 Though it is dry season and the water level isn’t that high, but the waterfall still looked great. 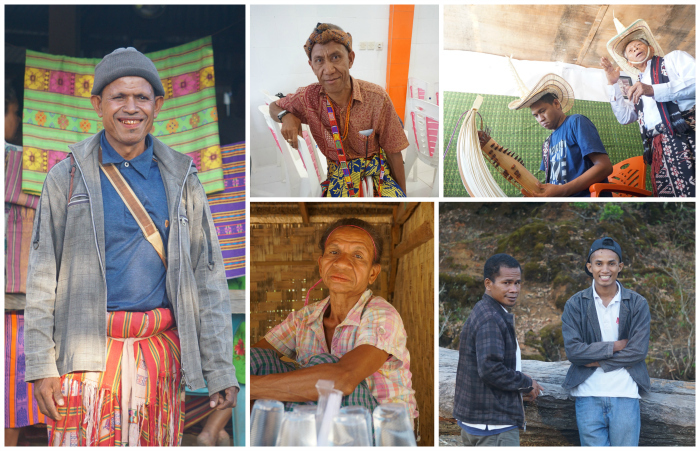 It’s not a secret that people from East Nusa Tenggara are known to be very friendly. They are very welcoming, warm and kind. Below are some friendly locals that I met during the trip. Aren’t they lovely? #ExploreTheDiversity #ExploreTimor trip with fellow Indonesian Travel Bloggers is hosted by Asita (Association of the Indonesian Tour & Travel Agencies) NTT and organized by @ayo_jalan2. Oehala Waterfall, it’s more like Ooh la la Waterfall with you astride it like a colossus! 😉 – if that’s the view in the dry I can just imagine the raging torrent it becomes in the wet. Kolbano Beach certainly looks like it’s worth bringing a tent along to as well so you can really enjoy it – I’d imagine it’s difficult for a day trip to do it justice. Another corner of Indonesia you’ve tempted me to explore in future!